It was a day for the history books. But it was not in her majesty’s temperament to make much of a fuss. On Wednesday, September 9, 2015, about 5:30 p.m., Queen Elizabeth II became the longest reigning monarch in Britain’s proud and often turbulent history, dating back more than a millennium to the days when kings and queens enjoyed absolute power. Serving as sovereign for 23,226 days (about 63 years and 7 months), according to Buckingham Palace, Elizabeth surpassed Queen Victoria, her great-great-grandmother, a woman so powerful that she stamped an era with her name. She has served longer than Henry VIII (37 years), longer than any of the King Richards, far longer than her own father, King George VI (15 years). She certainly reigned longer than King Edward VIII, her uncle, who abdicated after less than a year so he could marry Wallis Simpson, a divorced American. Elizabeth was there before the Beatles, there as the nation coped with postwar rationing, there during what she called the “annus horribilis,” when the monarchy appeared threatened as three of her four children became separated or divorced in 1992. She was there in 1997, when a shocked nation mourned the untimely death of the late Princess Diana. Now a great-grandmother, Elizabeth has overseen a blossoming of the British monarchy, symbolized by her grandson, Prince William, whose royal wedding in 2011 was watched around the world and who since then has produced two popular children, including a future king. Wednesday was a day of astonishing achievement, but the 89-year-old queen marked it as she has done so many times before: Quietly going about her business, opening a railway line, unveiling a plaque, meeting her subjects. milestone she had sought out. Elizabeth didn’t say much – her “speech” lasted perhaps a minute or two. She certainly didn’t boast about her longevity, reflect on her reign, or comment on the parade of British statesmen she has known, from wartime leader Winston Churchill to the current Conservative prime minister, David Cameron. That just wouldn’t be Elizabeth, whose modest quietude has, paradoxically, developed a grandeur all its own over the decades. In her silence lies mystery. What does she really think? Few really know and those who do aren’t saying. If the queen found it unseemly to boast of her accomplishment – her reign did, after all, begin with the abrupt death of her father – others in the British establishment showed no hesitation in praising the only monarch most Britons have ever known. 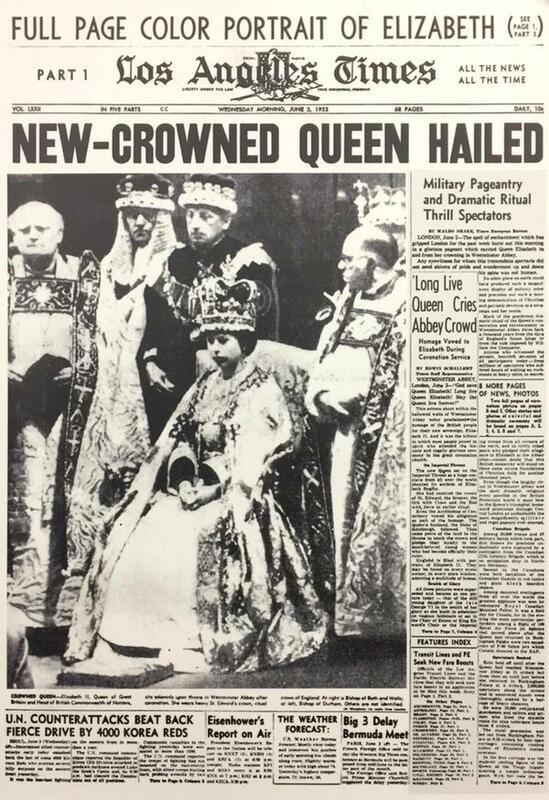 Oversize photographs of Elizabeth dominated most newspapers, with the tone set by The Daily Telegraph, which called the queen “our rock of stability for 63 years” in its headline. “Opening a railway captures the same sense of understatement, but we should not doubt that today is a great moment in our national story,” it said. Elizabeth came to the throne in 1952 at age 25 upon the death of her father, King George VI. Her official coronation the following year marked one of the first major public events that was televised. She has cut back on her official travels in recent years and rarely goes overseas now, but still adheres to a busy schedule of royal duties. Her son, Prince Charles, has represented his mother at a number of occasions, and grandsons William and Prince Harry have also moved into much more prominent royal roles, as has William’s wife Kate, the Duchess of Cambridge. But it is the queen who seems to command the most affection as Britons celebrate her unique role in national life. In Parliament on Wednesday, the prime minister led a series of affectionate tributes. That thought was echoed as well on the other side of the globe.